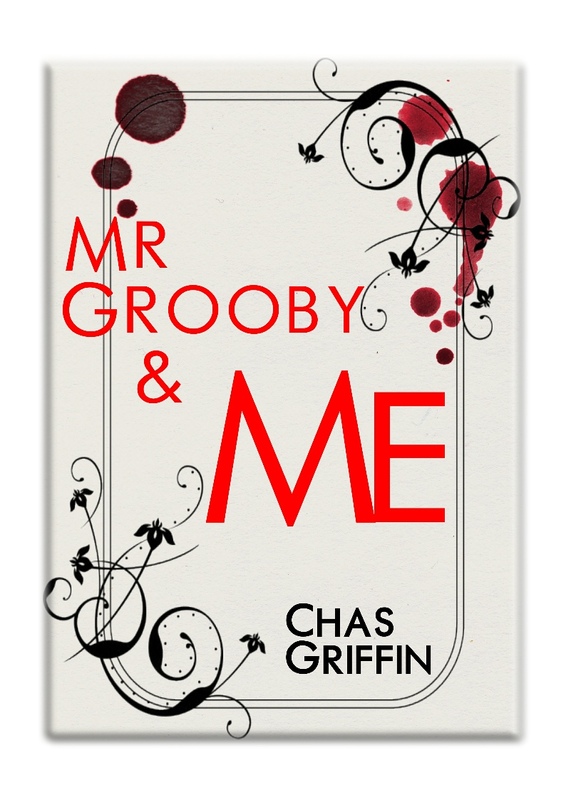 Today's interview is with Chas Griffin, who makes his first appearance to a Llandeilo Book Fair this year. Welcome Chas. Please tell us about the books you’ll be bringing to the Book Fair. Please tell us about the books you’ll be bringing to the Book Fair. Which genres do they belong to? I hate genres! 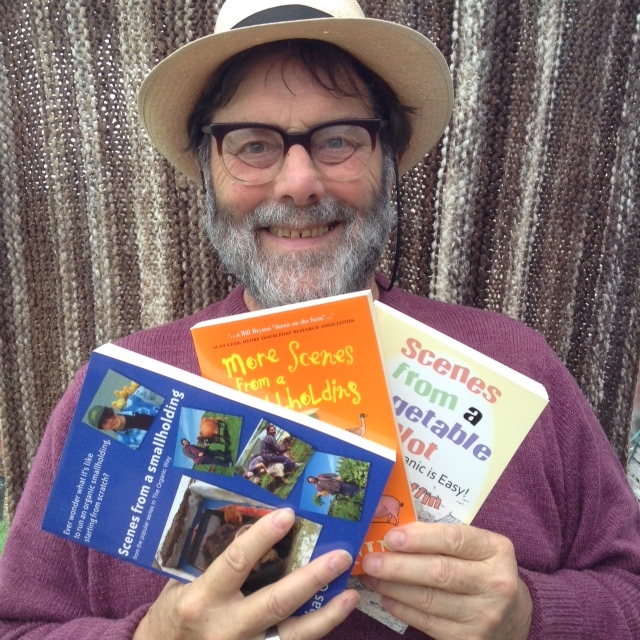 The Scenes books are autobiographical. The author sees humour in most aspects of smallholding and gardening. In Mr Grooby the hero is a local Welsh countryman. The other characters are mainly Welsh and local. Two others are English. One Polish. The plot is a fairly straightforward whodunit, but with humour, and most unexpected twist. 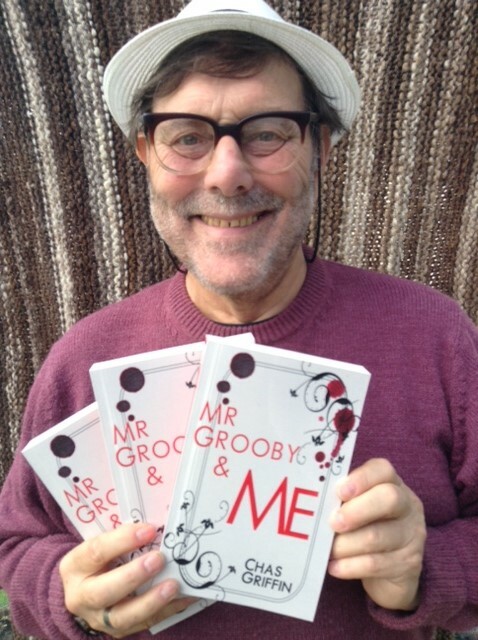 That would be Mr Grooby and Me. I ended up self-publishing it because my agent said that publishers wouldn’t want it because 'you can't have a humorous whodunit.' Waterstone's disagrees., it seems. The Manageress of Carmarthen W's said some very nice things about Mr Grooby in the Carmarthen Journal, including that she 'would strongly recommend it'. The Regional Manager and the Regional Buyer of W's also seem to have no problem with a 'humorous whodunit'. Maybe I need a different agent? DarwinPlus!.... It took over twenty years to research it and a further three to write. It started off trying to discover why Big Science refuses to seriously investigate the paranormal, and ended up discovering that Big Science holds as a Truth an irrational dogma which is holding back human progress not only in science, but in virtually every other aspect of life. People have said a lot of kind things. My style has been compared to Terry Pratchett, M*A*S*H, Bill Bryson, and Evelyn Waugh. Other comments include 'a minor classic', 'by turns hilarious, touching, and challenging', 'highly informative', 'a new way of writing about science', 'the sort of book I would offer to my psychology students', 'a better read than the Bible', 'I would like to order a sixth copy, please', 'your masterpiece', 'It makes you think and think again', 'I was laughing so hard at the sheep story that I was crying and couldn't see', 'a better read than War and Peace'. Lots more…. Including “Incredibly witty ... filled with a passion”- Western Mail. It's extremely hard to meet readers and potential new readers. A Book Fair is an opportunity. I came here in 1982 to set up and run an organic smallholding from scratch and with no experience. I loved it. I still love it here. I would never want to go back to England. Brought up on Merseyside. Degree in Slavonic Studies. Taught French and Russian, then English, Communications, and EFL at a school then an FE College. Then to Wales…. John Steinbeck. Bill Bryson, Mark Twain, Charles Dickens, Evelyn Waugh, Paul Brunton, Colin Wilson, Yogi Ramacharaka.